Having worked with a number of small and scaling businesses, I have become used to seeing the surprise and excitement after outlining some of the innovative techniques that can be used to attract new customers. Sophisticated capabilities that were once the sole preserve of enterprise businesses with enterprise budgets, are now in easy reach of even the smallest businesses. Here are some of the main areas of opportunity that are relevant to any business whether startup or small/medium business, product or service based, consumer or B2B focussed. 1. Be visible at the exact moment people are searching for a solution like the one your business offers. It’s this that has made Google the behemoth that it is now. What better time to be visible than the exact moment someone is seeking out a solution to their problem. Google AdWords is the place that most businesses start with their online advertising for good reason. In general it’s the marketing activity that will deliver the highest quality of leads to your business. You can setup a basic campaign in just a few hours and can spend as little as £5 per day. Get in touch with us for £75 of free credit to get you started. That’s right. If your competitor’s have a website, you can create campaigns that will actively seek out and target their website visitors. 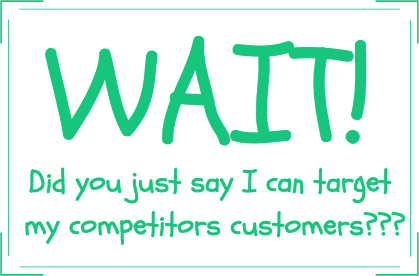 This is a great way to find customers as you will have a high level of confidence that they are interested in a product or service like yours. Your advert will appear wherever they are on the internet and you can create enticing adverts to bring them to your website. These campaigns can be run for as little as £10 per day. 3. Stay front of mind by reminding your website visitors about your business after they have left your website. 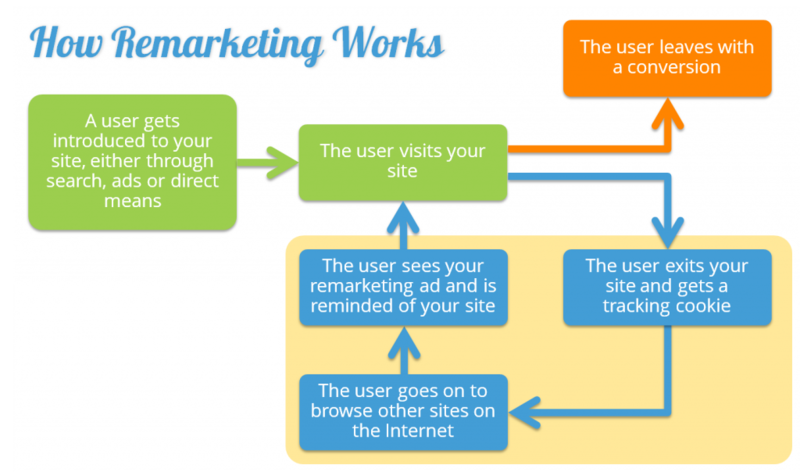 Using remarketing campaigns, you can target people that have previously visited your website, with adverts. Not only that but you can actively target individuals who spend a certain amount of time on your site, or looked at particular pages, so you only go after those with a high level of interest. 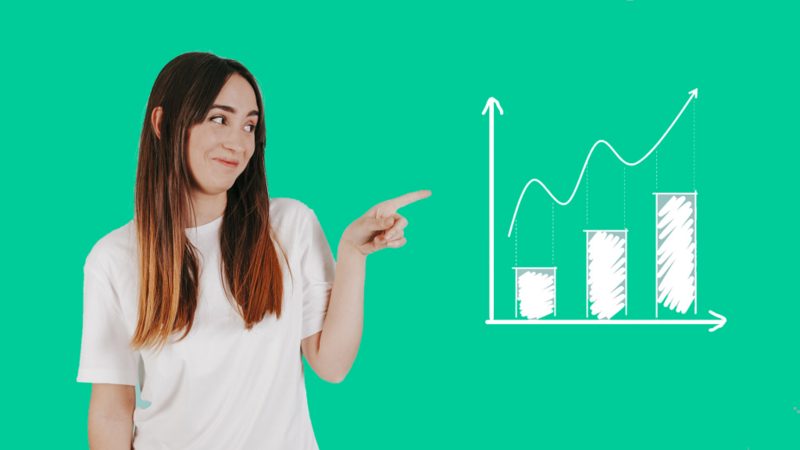 Considering that the marketing ‘Rule of 7’ states that on average a prospect needs to see your message 7 times before they buy from you, remarketing should be considered an important basic requirement for any business. In fact many marketing experts suggest that not running remarketing campaigns is like ‘leaving money on the table’! We tend to agree. Of course if you have an email database, simply sending regular useful emails is another great way to remarket your brand. 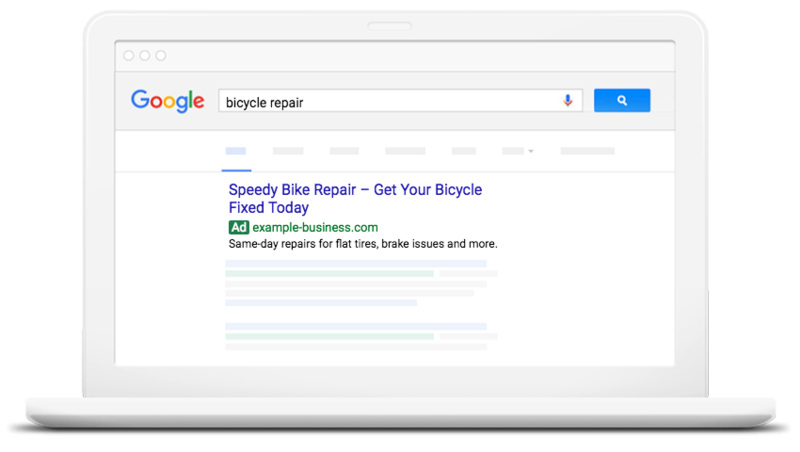 A recent report by Kenshoo states that 85% of searches for a product begin with Google. So if Google is the go-to place for identifying people looking to buy, what about people who aren’t necessarily ready to buy but fit the profile of one of your customers? As an example, someone who has been searching for travel insurance is probably ready to buy travel insurance right? Someone without travel insurance who has just booked a holiday fits the profile of someone that needs insurance but isn’t actively looking for it right now. You could think of these 2 types of scenarios as ‘active’ and ‘passive’ buyers. This is where Facebook comes into it’s own. 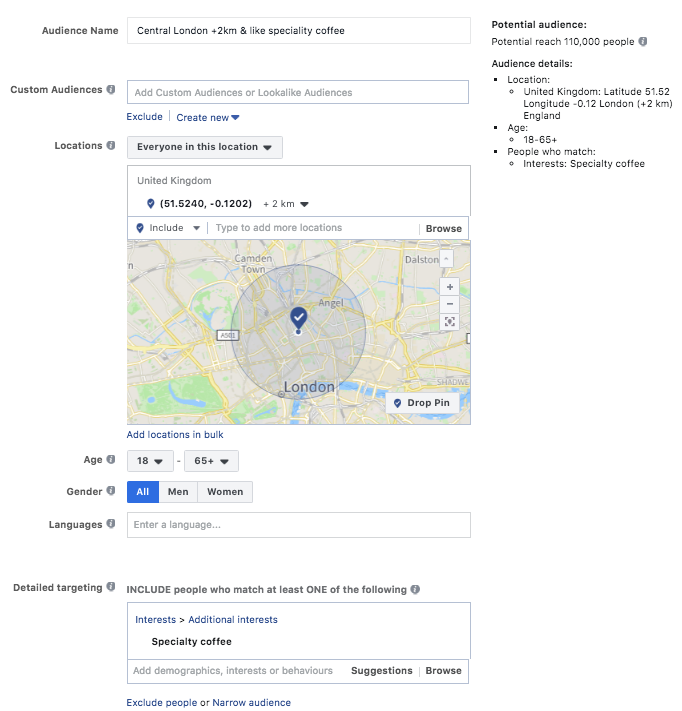 Not only can you target adverts at people by location and age, but you can target them based on interests (do they like yoga or cars for example), demographics (are they university educated, do they have children, what is their household income). The information in Facebook is so rich that you can create highly targeted ‘audiences’ to expose your brand message to. You can even target people that work for particular companies, have a certain marital status or any combination of all of the above. And this is just a small taster. “5 incredible health benefits of Yoga”. Anyone that reads your article will, by their nature, have an interest in your classes. Who better to promote your business to than someone who has expressed an active interest and lives in your target area? This really is just a small taster of some of the things you can do. We haven’t even touched in Instagram, Twitter or LinkedIn; but each of these channels offer further opportunities along similar lines. As every business is different, there isn’t a cookie cutter approach. Get in touch with us for a free 20 minute consultation and we can advise you on the best opportunities for your particular business.